If you’ve ever used a compass, you already know that the Earth has a magnetic field by which we can navigate. When the needle of our compass points north, it’s actually pointing toward Earth’s magnetic south — because, with magnets, opposites attract. But north as we know it has not always been. In fact, throughout the history of our planet, the poles have switched many times. The Earth’s core, what we know of it at least, is made up of molten iron. As it flows, it produces an electrical current. That current creates the Earth’s magnetic field, which is important to fostering life for a number of reasons: the foremost of which is that it protects harmful amounts of solar radiation from penetrating the atmosphere. The thing is, the polarity created by the magnetic field isn’t a universal constant. In the history of our planet, the poles have completely reversed a number of times. And while complete reversals have been somewhat irregular, scientists estimate that they’ve happened roughly every 200,000 to 300,000 years. That is, except for the most recent complete pole reversal, which happened about 780,000 years ago. What Will Happen To Us If The Poles Reverse? This means that we are currently long overdue for the poles to swap again. 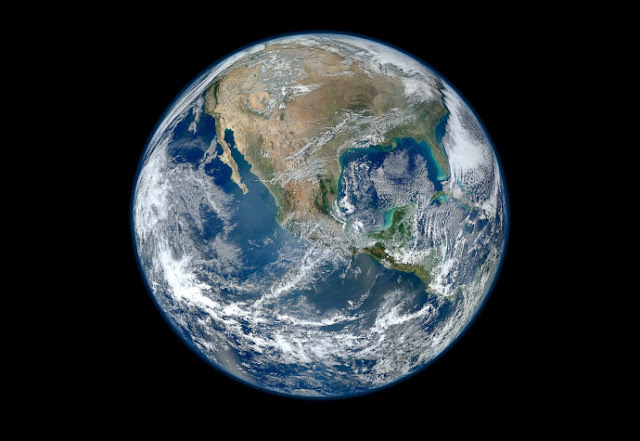 The last time that Earth experienced a complete pole reversal, known as the Brunhes-Matuyama, the planet was lush with plants and animals. Fossils from this epoch have convinced geophysicists that the pole switch didn’t have a catastrophic impact on life. Glacial records, too, indicate that the reversal didn’t cause the Earth’s axis or rotation to shift — which would have drastically altered the climate and shown up in glacier samples. Of course, that being said, scientists don’t know what a pole reversal would mean for humans of today’s world. Many animal species have magnetoreception which allows them to not only sense the Earth’s magnetic field but use it for navigation (think migration). Other than our ability to interpret a compass, humans don’t have an innate sense of direction (some of us don’t have much of one at all, which you know if you’ve ever gotten disoriented in a parking lot). One thing scientists are fairly certain of is that the magnetic field would not completely disappear. It could possibly weaken, but it wouldn’t suddenly let in enough solar radiation to destroy us all in some kind of sci-fi doomsday scenario. The shifting of the poles happens gradually — and in fact, the North Pole has been moving at a rate of about 64 km (40 miles) per year within the last century. That’s actually quite a bit faster than it moved at the start of the 20th century when it traveled at just 16 km (10 miles) per year. Still, what would be the most likely thing to harm humans if the poles were to reverse again would be the ways in which a disturbance in Earth’s electromagnetic field would mess with all of our technological devices. Aviation would probably need significant reworking in order to function, our satellites would need to be redesigned, and Earth-bound power grids could experience interruptions under the altered circumstances. That being said, while we can’t predict exactly when the next pole reversal will occur, most scientists don’t think it could lead to mass extinction — unless humans have evolved to the point where they, literally, can’t live without their electronic devices. And we’re not there yet…right?